As the year comes to a close, it is exciting to start looking to a new year and all the fresh and reinvented styles that come with that. 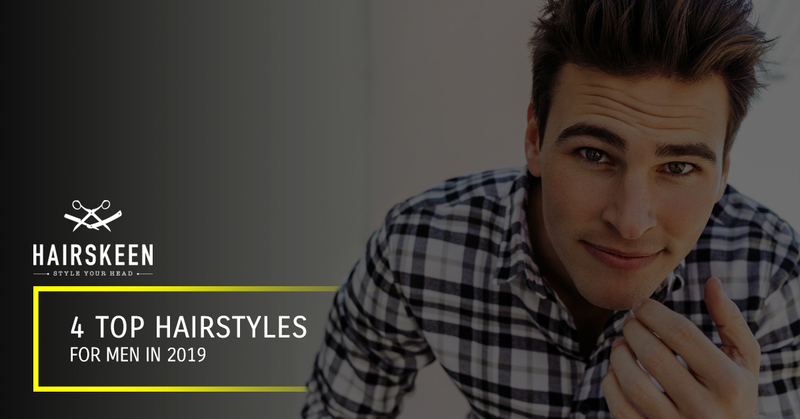 Today, on the Hairskeen blog, we are predicting some of the top hairstyles for men in 2019 and how you can help your clients achieve those looks. If your male clients suffer from the effects of balding, learn how you can help them achieve these hairstyles with Hairskeen’s hair replacement for men! With the coming of the new year, we are predicting that a few of this year’s most popular styles will remain and will possibly be reimaged. These tried and true styles will also be joined by new cuts and ways to wear them. Say goodbye to the high fade and say hello to the low fade. The low fade is not only neater, and cleaner, but it also has more character. It is also perfect for those experiencing colder winter temperatures as it keeps the hair longer and the wearer’s head a little warmer. The gradual lengths on the side will especially stand out if your client decides to go with long lengths on the top. The slick back look with volume is likely going to be a big hit again in 2019. To avoid the slicked back look that is completely flat against your client’s head, you will need to use a blow dryer on a medium to hot setting. To finish you can use a clay for a matte finish or a pomade for a wet look. For even more options, you can achieve this look with longer hair on the side like the picture above or with a fade — your choice! The pompadour saw popularity in 2018 and we think it will only gain momentum in 2019. The pompadour can change your client’s face shape, provides a variety of styling options and can be worn a variety of ways. However, the sides must be trimmed and there cannot be longer layers on the side. We would encourage clients to come in for regular trims to keep that low fade on the sides neat. The modern pompadour takes a classic style and gives it a modern edge. The cropped fringe or fringe hairstyle is totally in this year, but unlike some of the other hairstyles mentioned in this blog, depending on your client’s face shape, it can be difficult to wear. However, it is unlike many of the other popular styles of the new year and can be a breath of fresh hair for those who have been there done that with some of the other styles. Do you have clients that would love to wear the latest styles, but have or are in the process of succumbing to male pattern baldness? Give your clients options with our hair replacement for men solutions. Our toupee alternative is allowing men to wear the latest styles and enjoy greater confidence that comes with looking and feeling their best. Learn more about Hairskeen and sign up for a certification class near you!